The first Matryoshka doll (Russian:матрёшк) or a Russian nested doll set was carved in 1890 by Vasily Zvyozdochkin from a design by Sergey Malyutin, who was a folk craft painter in the Abramtsevo estate of the Russian industrialist and partron of arts Savva Mamontov. The doll set was painted by Malyutin himself. Malyutin's doll set consisted of eight dolls — the outermost was a girl holding a rooster, six inner dolls were girls, the fifth doll was a boy, and the innermost was a baby. In 1900, Savva Mamontov's wife presented the dolls at the World Exhibition in Paris, and the toy earned a bronze medal. Soon after, Matryoshka dolls were being made in several places in Russia. Take your time to explore our traditional Origin collection of Matryoshka or Nesting Dolls specially handcrafted to model after the first Matryoshka. 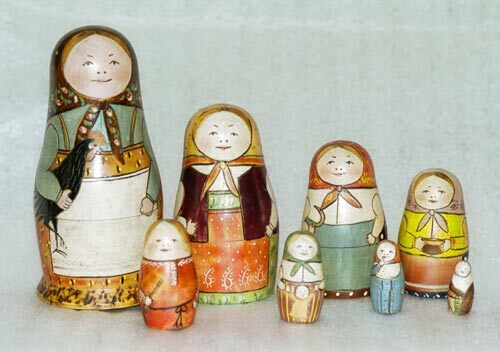 Each Matryoshka is individually and skillfully crafted from Russia. Each piece is unique. 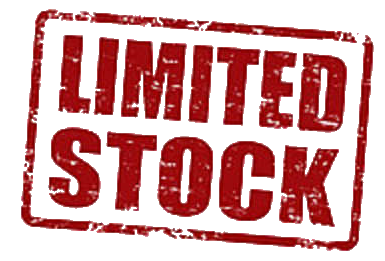 Get it before it is gone. You will not find the same exact piece again.